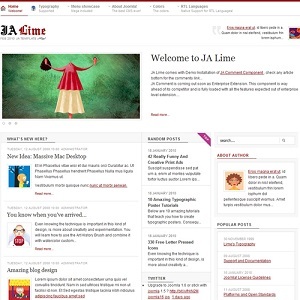 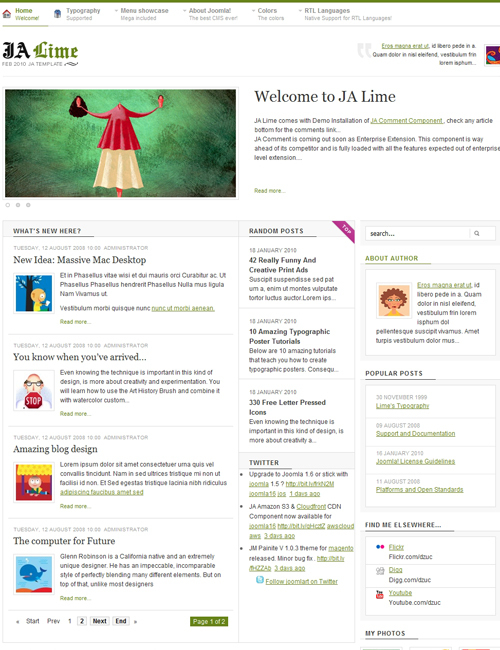 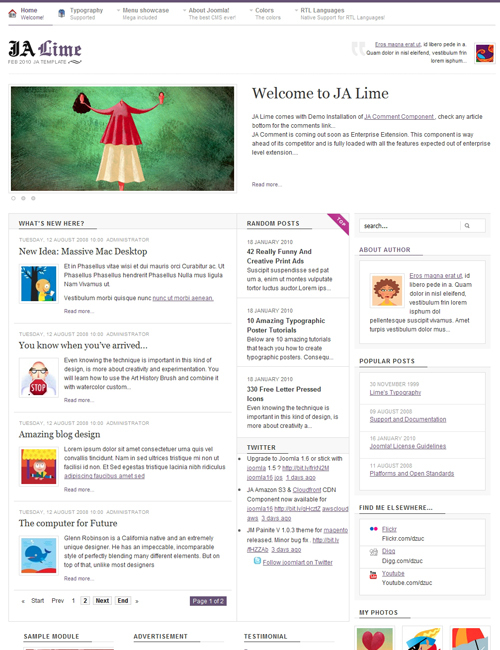 Today, the second 2010 template JA Lime is out, we give it as a vote for blogging sites. In majority of circumstances, you might think of other targets, but no worry, the design simplicity behind this template will be a plus, there'll be no limit to those custom need. 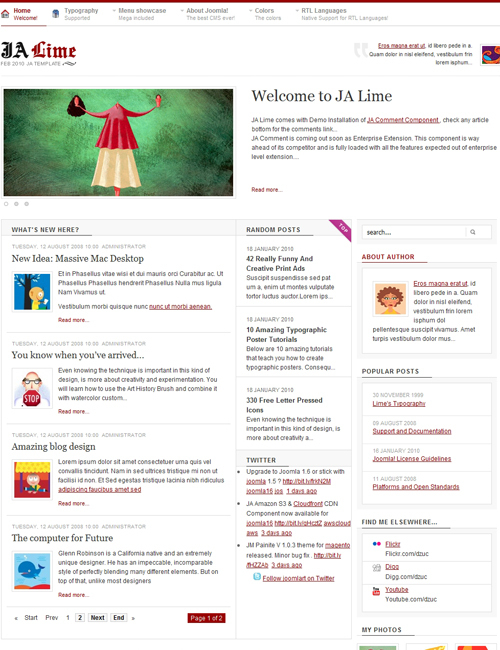 To fill up blogging features, JA Comment component is used - JA Commentbrandnew. It brings an entire difference, powerful features such as AJAX adding comments, user avatar from several sources, comment rating, sorting options, social tools, but most important of all, a powerful spam protection.